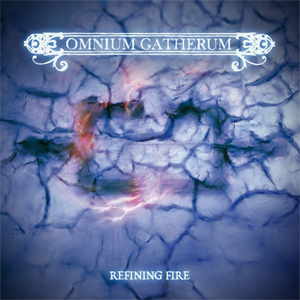 Finnish melodic death metal masters, OMNIUM GATHERUM, have released their new single entitled “Refining Fire”, taken off their upcoming album The Burning Cold, which will be released on August 31st. Frontman Jukka Pelkonen comments, "The new video song "Refining Fire" is a story about not giving up and the power of staying clear-headed inside oneself, as well as in the outside world too within all the chaotic turbulence. It is the never-ending stream, the river that carries us and it is the fire that refines us. Stay strong and hold your head up high. You deserve it! ...Musically speaking, this is maybe the most OG old schoolish song on the new album!" Watch the video for “Refining Fire” on KNAC.COM HERE. OMNIUM GATHERUM are heading out on a North American tour supporting AMORPHIS and DARK TRANQUILLITY, along with MOONSPELL. Those dates are listed below. OMNIUM GATHERUM are going to head out on another headline run in November in order to present The Burning Cold to their European fans! They will be supported by fellow countrymen WOLFHEART and NOTHGARD.